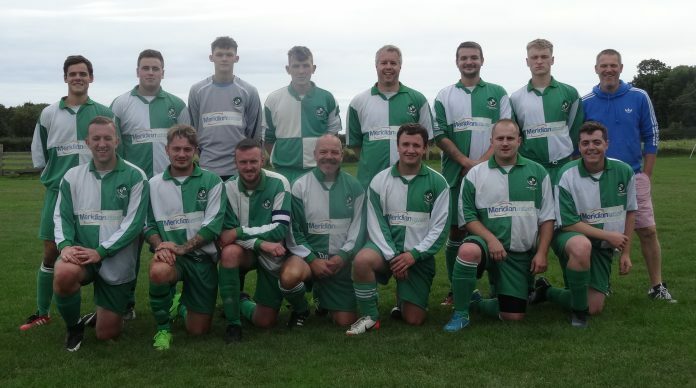 The 2nd team of Icklesham Casuals are still waiting for their first point of the season in Division Four of the East Sussex League after narrowly losing 3-2 at home to Northiam II last Saturday. After a nervy start the Casuals went 1-0 down in the 5th minute but the team then started playing some good football with both sides having chances. Icklesham dominated the last 15 minutes of the first half and a route one ball from back to front put Phil Badrock through and he slotted home to level the score at half time. Northiam started to the second half much more positive and got their rewards with a long range effort and a goal mouth scramble to make it 3-1. The Casuals didn’t give up and from a corner Jack Davies headed goalwards and when the ball came back off the keeper he poked in the rebound to leave the final score 3-2. The previous Saturday the 2nd team went down 4-1 away to Parkfield with Ollie Beaumont netting the consolation goal but the 1st team had a far more positive start to the season in Division One with an excellent 7-1 victory away to Mountfield United. Liam Sayer, Charlie Cornford and Harry Blunden all netted twice with Dave Pugh getting the other goal. This Saturday the 1st team have a difficult fixture at home to the J C Tackleway while the 2nd team take on West Hill United.